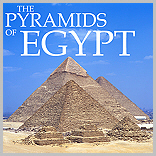 Five pyramids are know to have been built in the area of the Faiyum. The entrance to the Fayum is located about 100 km south of Cairo. Amenemhet I, first king of the 12th dynasty, set up his capital here , Iti-tawi,meaning "Seizer of the Two Lands. Iti-tawi's exact location is unknown, but if it was Amememhet I's pyramid town it would have laid near the deserts edge, in the vicinity of the modern village of el-Lisht, midway between Dahshur and Meidum. The new capital lasted more than 300 years. There are four middle Kingdom pyramids in the Faiyum area. 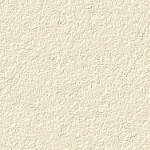 At el-Lisht, at the month of the Faiyum, two mudbrick pyramids were built, that of Amememhet I and Senwosret I, 1st and 2nd kings of the 12th dynasty. The fourth dynasty pyramid of Sneferu is at Meidum, about 50 km south of Dahshur. Here in a completely isolated position at the edge of the desert and the cultivated zone, is the strange truncated-cone pyramid within is a great private necropolis. Sneferu was the first king of the incredible fourth dynasty. And here Sneferu attempted to build an immense pyramid, was was most likely finished with smooth sides making it the first true pyramid in Egypt. It is at Meidun that the famous Statues of Prince Rahotep and his wife Nofret were found by Mariette. They are on display at the Cairo museum. Further south into the Faiyum we find the 12th dynasty pyramid of Senwosret II at Illahun. The is a very interesting pyramid lying near the deserts edge. It has eight rock cut mastabas on the north side of the pyramid. The large mudbrick pyramid is an imposing structure. The only 'intact' ancient Egyptian city ever to be found is the pyramid town of Senwosret II, located just 2km east of his pyramid. The city is called Hetep-Senusret, or el-Kahun. 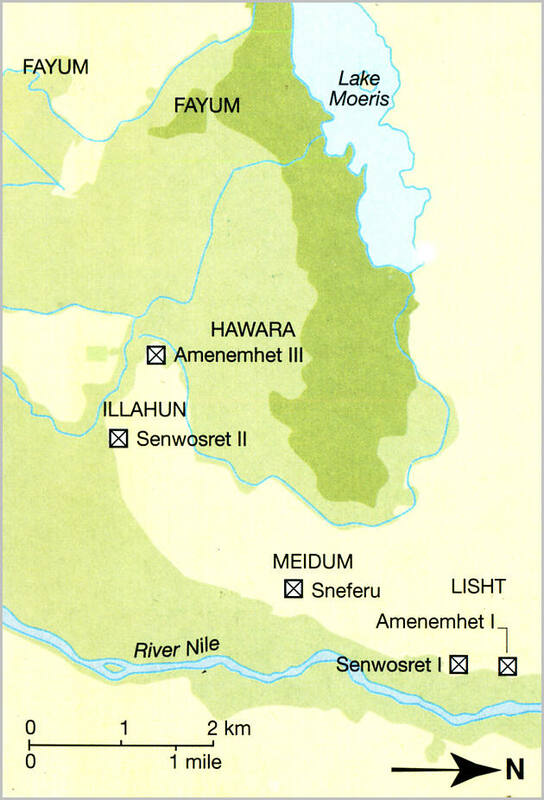 A few kilometers northeast of Illlahun is the site town of Hawara, were we find the 12th dynasty of of Amenmehet III. The courtyard to this pyramid is believed to be the site of the famous labyrinth , which is described by Herodotus (Histories II, 148), Strabo (Geographica, XVII, 1, 37) and Pliny (Nat. Hist. XXXXVI , 19). The site covered an area of 60,000 sq. m and had an unusual structure consisting of a series of rooms placed in three or four rows, connected by a complex series corridors. The reach the pyramids in the Faiyum requires a complete day, from sunrise to sunset. But the visit is very well worth it.